In a season of deepest gloom, there was one bright spot – two if you count the reduction in Jolly Jack Rodwell’s salary. 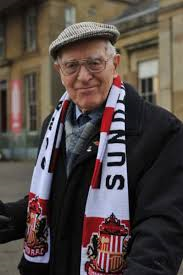 The positive one was the award of EFL Championship Supporter of the Year, won by 91-year-old George Forster, a man who can rightly be called “Mr Sunderland AFC”. In a world where managers last 18 months, players come and go with the frequency of the bailiffs at the door of Sixsmith Towers and fans change their allegiances to whichever club happens to be fashionable, George stands out like a beacon of light over a doom-laden Wearside. I first met George in the mid 1960s when I started my own odyssey of following the club to away games. 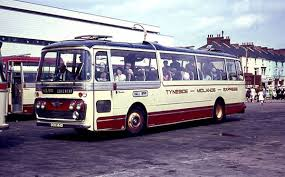 He rode shotgun on John Tennick’s No 1 bus, the one that came down the A19 and then across to Darlington to collect a handful of Sunderland fans based in that area – myself, Eddie Neary, Gary Scott and Maurice Snowdon from (the Bishop) Toronto were the regulars – and then off down the A1 to wherever. George would sit near the front always immaculately dressed in his SAFCSA blazer and tie (shirt and trousers as well) with a flask and a selection of sandwiches and would have a case full of souvenirs which he would sell to fellow passengers and exchange with the supporters’ club representatives of whoever we were playing that day. There were no club megastores in the swinging sixties and most goodies were sold from wooden huts or, if you were well in with the club, in a small shop space on the stadium site. 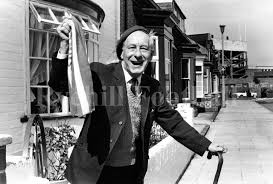 SAFCSA had an office at the end of the main stand at Roker and it was here that George sold his badges, scarves, hats and first day covers, a speciality of his which he issued every time something dramatic happened in the club’s history. I have one above my desk that relates to the FA Cup win of 45 years ago, signed by Ian Porterfield and authenticated by George. Others were issued for European games (not too many of those), promotions and notable milestones. I believe there is even one to commemorate the day that Joe Bolton went through an entire home game without dumping an opposition winger on the running track at Roker. It was George who encouraged me to start writing about football. 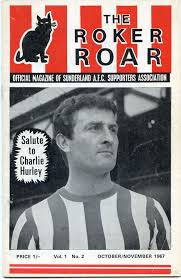 The Supporters’ Association produced a magazine, surprisingly called The Roker Roar and I wrote a couple of pieces relating to the two FA Youth Cup triumphs in the late 1960s, my first efforts in print. I still see George occasionally and he remembers me and those days. He is loth to criticise the club he has followed for so many years but I gather he would be more than pleased to see the back of Ellis Short. As would we all……. If other people in the upper echelons of the game had but a tiny percentage of the loyalty, integrity and feel for the game that George has displayed over what must be at least 75 years of following his home town club, Sunderland AFC and the game in general would be in an infinitely healthier state. Once again, congratulations on your award and may you see this once great club slough off the dead hand of US financiers and become an institution that the people of Wearside, County Durham and all the North East can be justly proud of. If there is any copyright claim, not answered by ‘fair use’ exemptions, on images used to illustrate this report, please make us aware and we will add credits or remove as requested. Tags: George Forster, SAFCSA, Sunderland A.F.C. Let’s hope that when the telegram from the Queen arrives George is a proud SAFC fan supporting his team in the Premier League and relating stories of more derby wins to anyone who will listen. Keep The Faith. Name a stand after him. Lovely article about a lovely man. Let’s also remember that is it folk like him who will ensure the club survive whoever the “owner” is. Furthermore, without Sunderland’s Supporters Association, I, and thousands like me in SAFCSA branches around the country would not have the connection that leads to us travel to games, obtain tickets etc. etc. Top article about a top man.